Folderia Indoor-Outdoor Dining Chair in Silver by Modway MY-EEI746. Fine-tune the flow of speech with overt movements that encapsulate smooth and synchronized motion. Folderia's willow screen slats and matte aluminum finish produce a gentle blend of designer finesse. 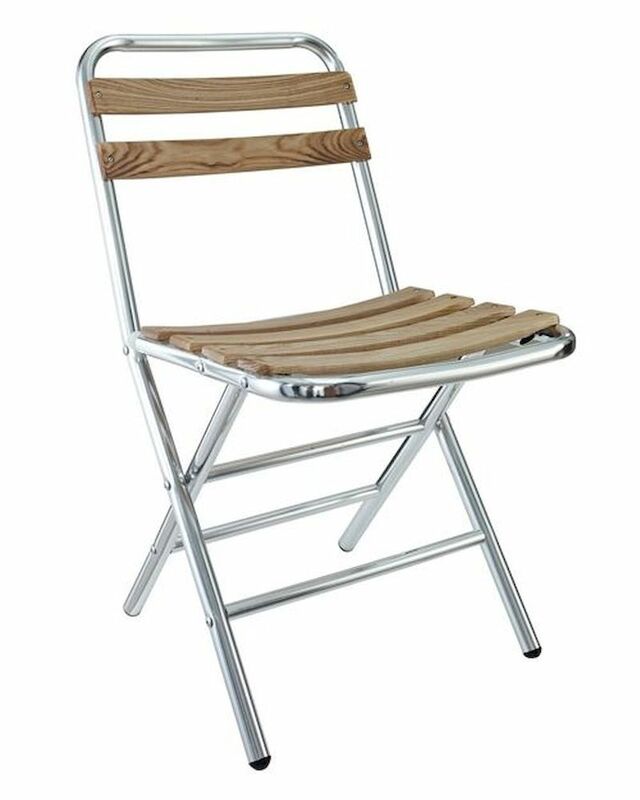 Allow the Folderia Modern Indoor/Indoor-Outdoor Accent Folding Chair to accompany you on every conversational journey.